“Would you mind repeating? 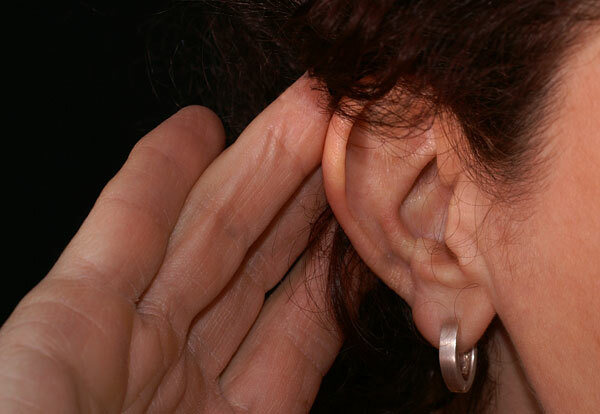 I couldn’t understand what you said.” Hearing loss left untreated results in major frustration - for people with a hearing loss and those around them. Untreated hearing loss can result in serious emotional and social consequences. A decrease in hearing has physical and psychological consequences associated with diminished cognitive function, poorer mental health and social withdrawal. A study by the Johns Hopkins School of Medicine found a strong correlation between untreated hearing loss and the development of dementia, citing that cognitive diminishment was 41 percent greater in seniors with hearing loss. Furthermore, a link between the degree of hearing loss and the risk of developing dementia suggests individuals with a mild hearing loss are twice as likely to develop dementia, those with moderate hearing loss are three times as likely and those with severe hearing loss are five times as likely to develop dementia when compared to individuals with normal hearing. Untreated hearing loss also increases the risk of depression and your chances of feeling anxious and alone. Conversely, studies show that when people with mild-to-profound hearing loss use hearing aids, they have fewer symptoms of depression, anxiety and emotional instability, and significant improvements in their quality of life and feelings of well-being. Hearing loss has also been linked to imbalance and a greater risk of falling. Research from the National Health and Nutrition Examination Survey shows the risk of falls among people with a mild hearing loss is three times as great, and increases with increased hearing loss. Fortunately, hearing loss is treatable. According to the Better Hearing Institute, 95 percent of Americans with hearing loss can be successfully treated with hearing aids. Hearing aids help process incoming sounds making it easier for your brain to understand speech. Other benefits of hearing aids include reduced mental fatigue, decreased feelings of social isolation and depression, improved ability to multitask, improved memory, attention and focus in addition to improved communication skills. Hearing care professionals often work together with other medical professionals. If you or a loved one is experiencing cognitive or emotional problems, schedule an exam with your doctor as well as a hearing evaluation with your hearing care professional. If you can’t hear in restaurants or other noisy places, feel others mumble, can’t hear on the telephone and say you don’t need hearing aids, you are putting yourself at greater risk for cognitive decline.